Click on "Add Website" if you run the program the first time. 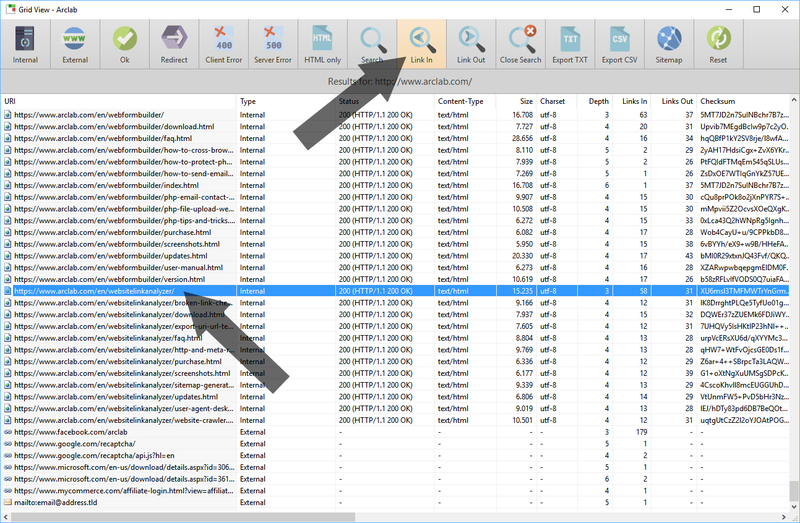 Enter your website details and click on "Analyze" to let the program crawl through your website. 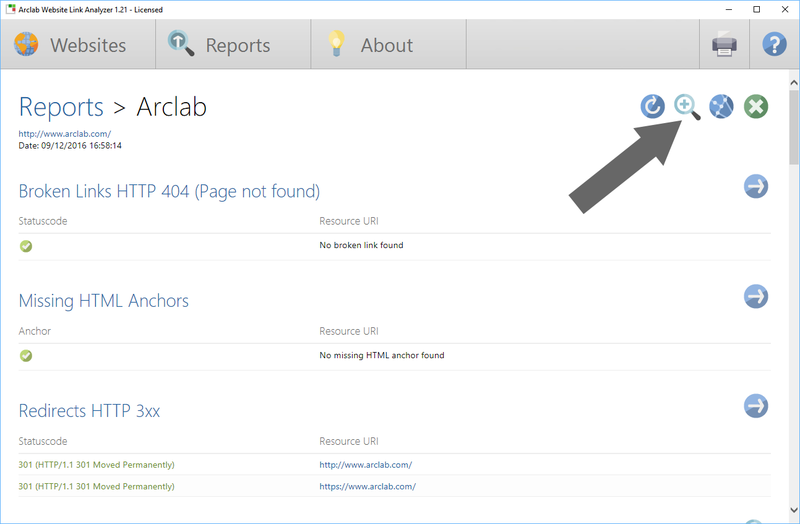 Arclab Website Link Analyzer the website crawler and link checker for your website and web projects. 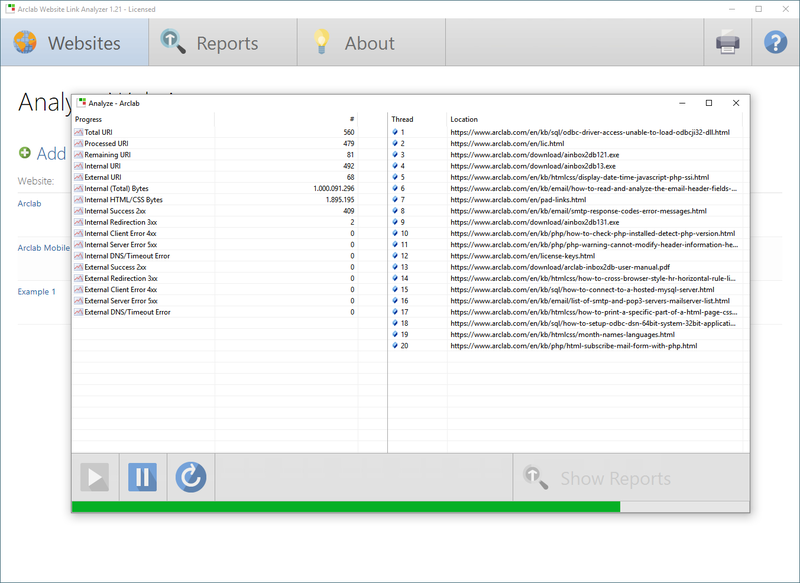 Step 2: Open the "In-Depth Grid View"
The program shows all pages linking in to the web page or resource. You can easily view all link-in (and link-out) for any web page or resource on your website. Click on "Reset" to close the search/link-in.